In 2018, the Centers for Medicare and Medicaid Services (CMS) established a requirement that, as of January 1, 2019, hospitals must make available a list of our current standard charges via the Internet in a machine-readable format at least annually. A “machine-readable format” is a format that can be easily integrated into a computer system or statistical program (e.g., XML, CSV). This could be in the form of the chargemaster (a standard itemized pricing format used by all hospitals) itself or another form of the hospital’s choice, as long as the information is in machine-readable format. The agency had not previously required standard hospital charges to be available in a machine-readable format, nor had it required that the list is posted on a public-facing website. Instead, hospitals could meet prior guidance by providing charges upon request. Although we understand CMS’ intent to promote price transparency and we have provided the required list of charges online, we do not feel providing the list of our charges will provide meaningful information to our community as most payments by insurers and patients are not based on the actual charge but instead on contracted rates or adjusted charges. Hospital payments are very complex and we are attempting to provide information that you find useful. In our opinion, providing a list of charges as required by CMS is missing the mark which creates more confusion for our patients. CMS continues to collect information and we expect further clarification from CMS in the next 12 – 18 months. 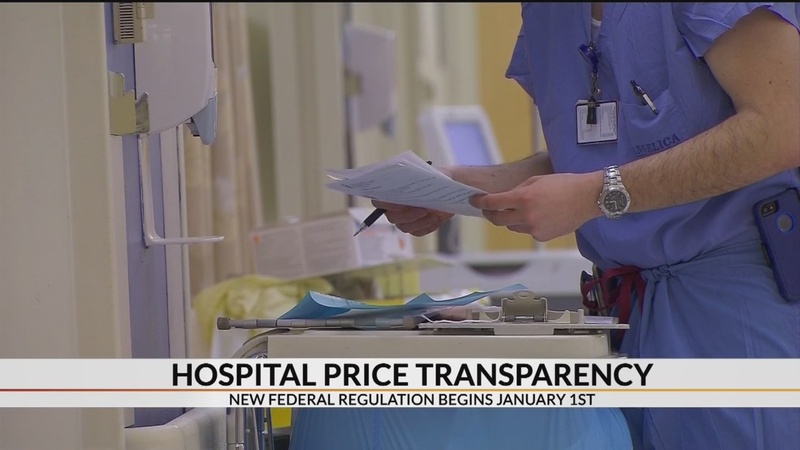 In the meantime, we will continue to work towards providing meaningful price transparency information that also meets federal regulations.